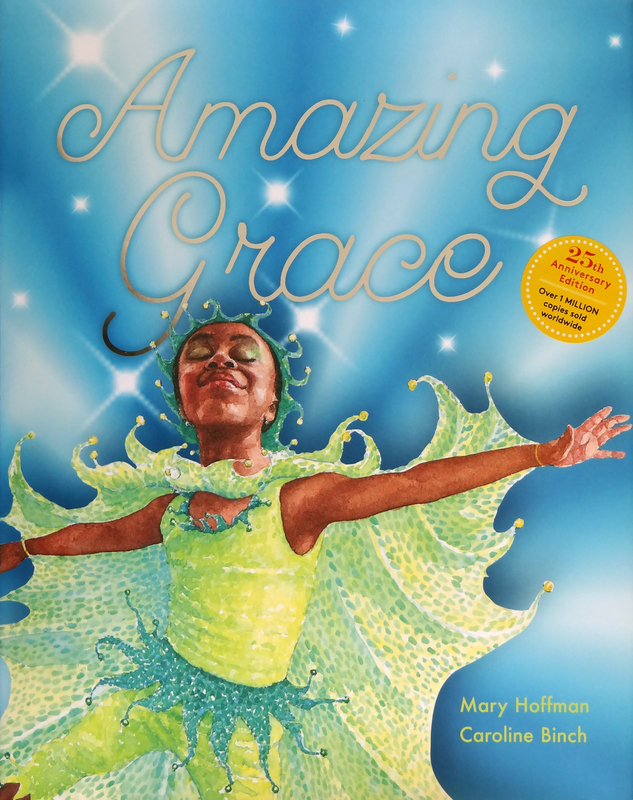 The 25th anniversary of the best-selling children’s book Amazing Grace is being celebrated with a new edition and with an event at the Cheltenham Literary Festival on Saturday 3rd October. 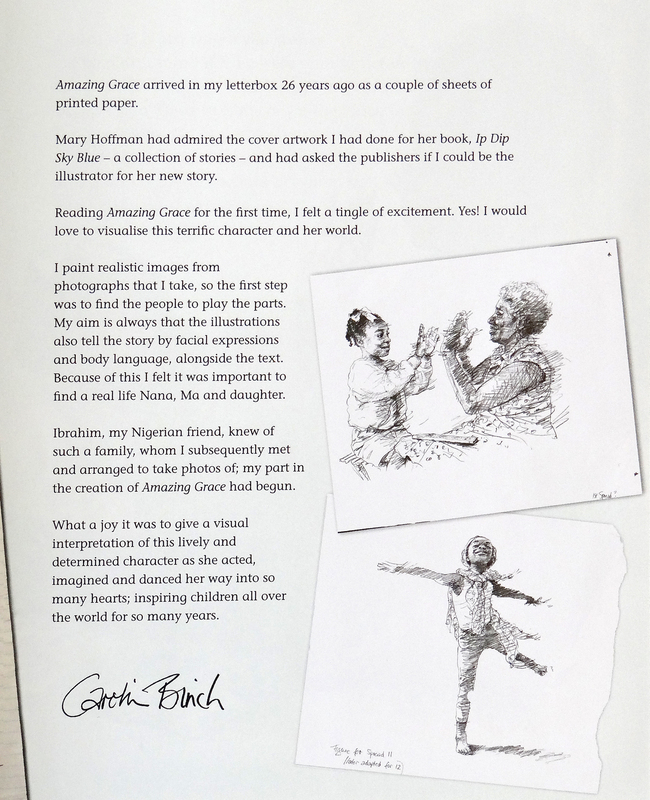 The author Mary Hoffman and the illustrator Caroline Binch will be there talking about the book in its various aspects. Caroline Binch had painted the cover of my anthology Ip, Dip, Sky Blue (HarperCollins) and I knew she could portray ethnic minority characters. But would she undertake a picture book? Thank goodness, she said yes, she would like to try. 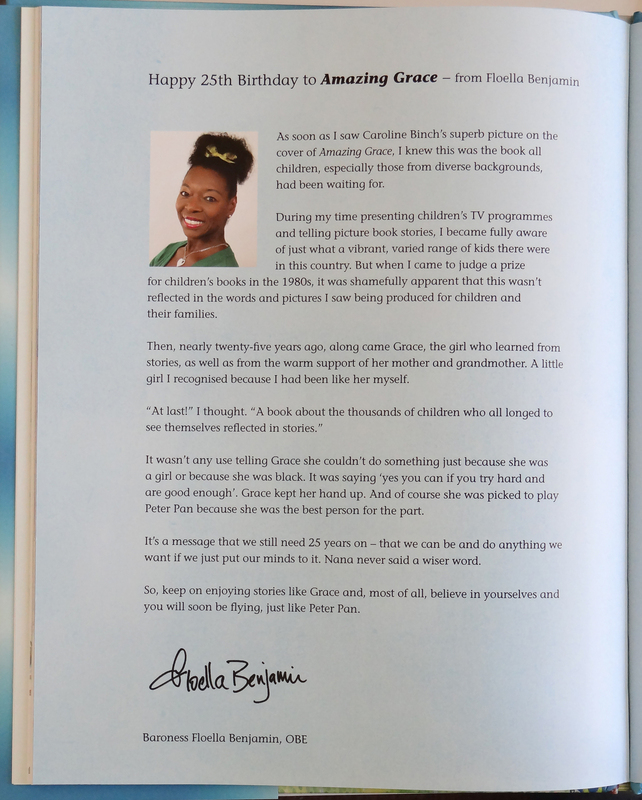 This hugely positive and important tale is needed today as much as it was 25 years ago, it has not aged a bit … If you’ve yet to meet Grace, definitely grab a copy of this anniversary edition as it’s stunningly reprinted – and we know that you’ll fall in love with her as much as we have too! Illustrator Caroline Binch, author Mary Hoffman and publisher Janetta Otter-Barry. At a tea party at the Cheltenham Literature Festival, (from left) illustrator Caroline Binch, author Mary Hoffman and publisher Janetta Otter-Barry celebrated the 25th anniversary of publication of Hoffman and Binch’s AMAZING GRACE, which Otter-Barry published at Frances Lincoln. Guests at the party, at the Queen’s hotel, included Jane Churchill, Julia Eccleshare, Nicholas Tucker, Nicolette Jones, Andrea Reece, and Nicky Potter. 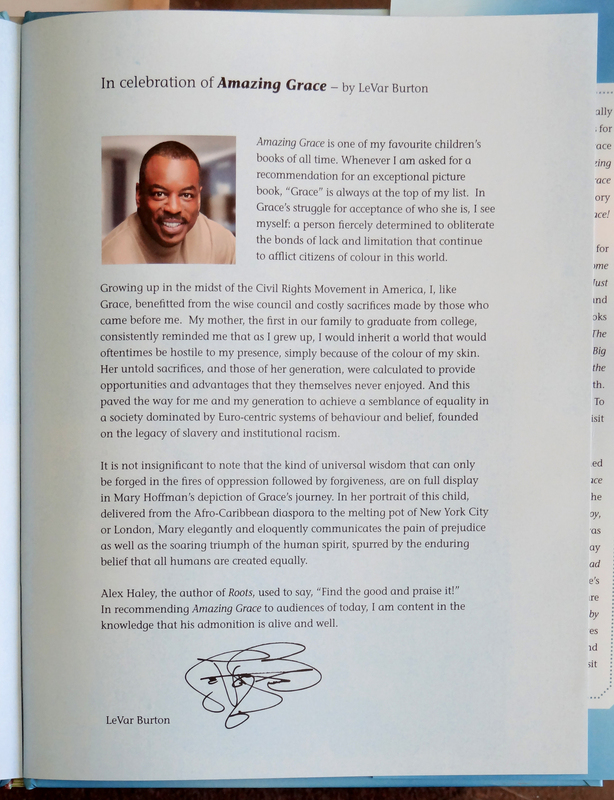 The book, which communicated the idea that children could be anything they wished to be, and featured a black heroine, was a landmark book from a publisher committed to reflecting our diverse society. Frances Lincoln has published an anniversary edition of the book. Guardian Article about the 25th edition of Amazing Grace.